Categories: Kshetra, Pandharpur, Panduranga, Prayers, Spirituality. In this series, we present, each month, a prayer kirtan composed by His Holiness Maharanyam Sri Sri Muralidhara Swamiji. 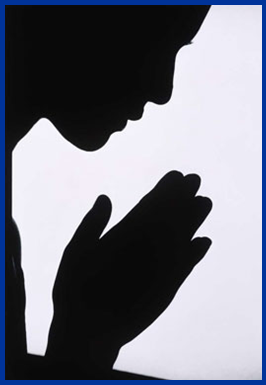 These kirtans underline the importance of prayers and show us how to pray. My Father! I request Thee to forgive my sins! ‘In a court of law, when a criminal is on trial, the prosecutor and the defense attorneys argue based on facts and laws laid for that country and the jurors and the judge pass a judgement based on the facts laid out. But when everything else fails, and the defendant is convicted and sentenced, a repentant convict has a final chance. He can appeal to the President for a pardon. If the President so chooses, he can ‘pardon’ the convict; in other words, set him free. Similarly, although all of the living beings are judged based on their sins and merits, if we truly repent our mistakes and pray to the Lord with a sincere heart, He will forgive us. In Ramayana, when Lord Rama killed Vali, Vali questioned Bhagavan on what basis he was being killed. Lord Rama listed all his transgressions. Whereas in the same Ramayana, we see that Lord Rama accepted fruits from Sabari, a huntress woman who had lived a sinful life until she met her guru. The Lord can forgive our sins but we need to pray and appeal to him for that. In the song, “Paavangalai manithu arulvai” set in Senchurutti, Sri Swamiji appeals to Lord Panduranga to forgive all his sins. O Father! My obeisance to you! O Lord of Pandari! O Panduranga! Pray grant this to be my duty forever.